The history of the Fazenda Cachoeira began with a land grant given by the King of Portugal to a Portuguese salesman who lived in Minas Gerais. The first coffee plantation started cultivation in 1840 and by the mid-twentieth century, the farm had gained a reputation for producing high-quality coffee. 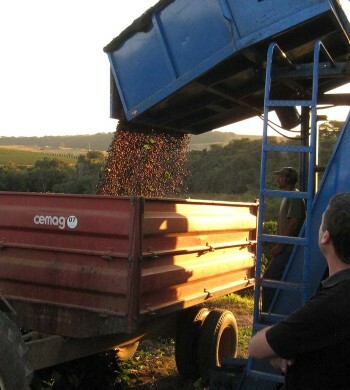 Cachoeira (meaning “waterfall”), is owned and operated by 6th generation Coffee producer Miriam Monteiro de Aguiar. Miriam’s 92-year-old father, Fernando, is considered a pioneer in Brazil’s specialty coffee industry and was instrumental in forming the Brazilian Specialty Coffee Association. In 1992, Miriam returned to help her father run the farm and continue the long family tradition of organic farming. Miriam takes social and environmental sustainability seriously. She advocates for women in the coffee industry by serving as an active member of the IWCA (International Women Coffee Alliance) and is on the board of directors for the Brazilian Organic Coffee Association. She is also an immense source of knowledge and an expert in organic farming with a Master’s degree in Rural Development. 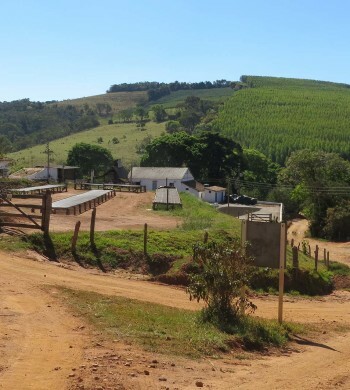 Fazenda Cachoeira has a modern cupping lab and she and her husband Rogério are both licensed Q-graders.